Tuscany offers clients a huge variety of characteristic hill-towns and gastronomic delights that vary from one area to the other. Pienza and Montepulciano are two of them. They are located in the picturesque “Val d’Orcia”. Set at an elevation of 605 mt. 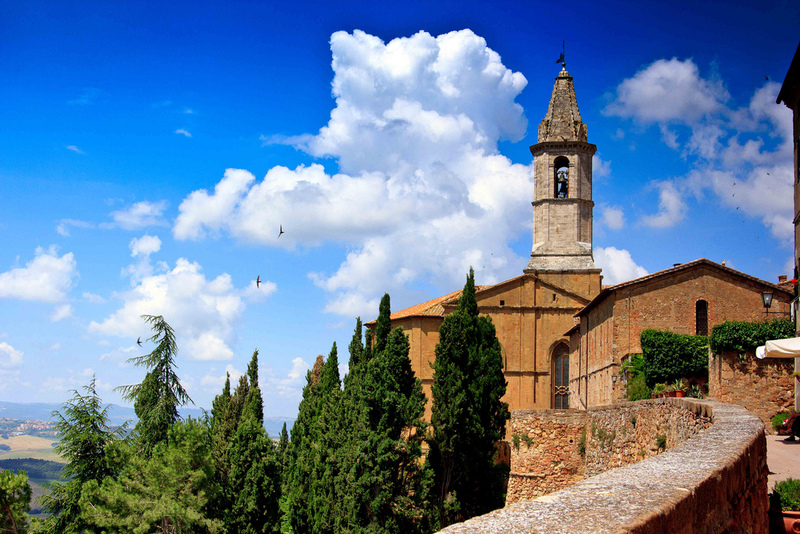 (about 2000 ft.) Montepulciano offers wonderful sceneries over the Tuscan rolling hills. 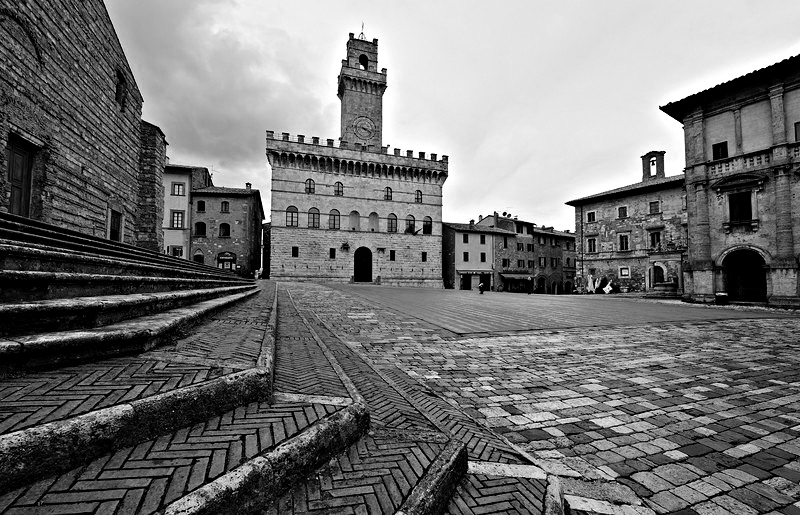 Like several other Tuscan site, Montepulciano has Etruscan origins and a Roman history. Developed mainly in the Medieval era and in the Renaissance. 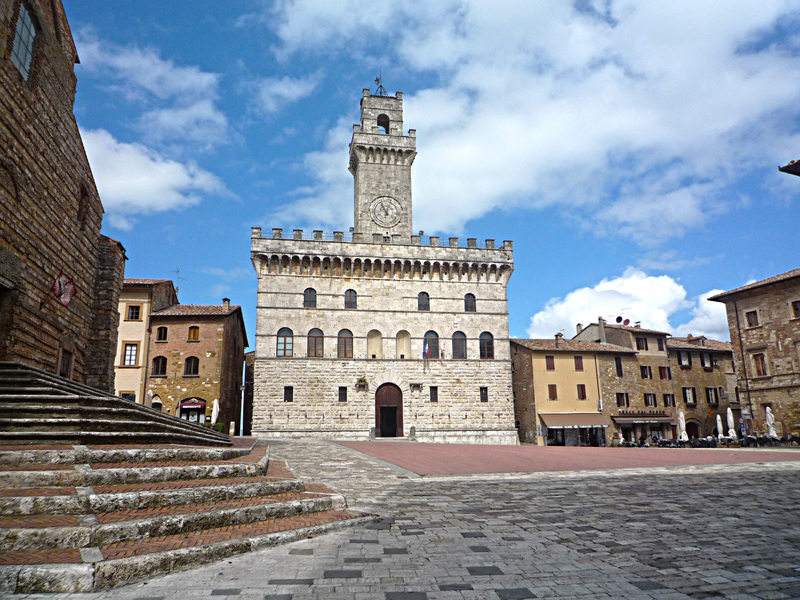 Our tour will start from the top of the town where are locateed the famous Piazza Grande with the Town Hall, the Cathedral and other important Renaissance palaces. We will walk our way down immersed in the magical atmosphere realized by the unique architecture of both Medieval and Renaissance times. The ancient roads are lined up with shops selling local products such as the famous cold cuts from wild boar meat, Vino Nobile di Montepulciano, the Pici pasta and more. Definitely worthwhile sampling. 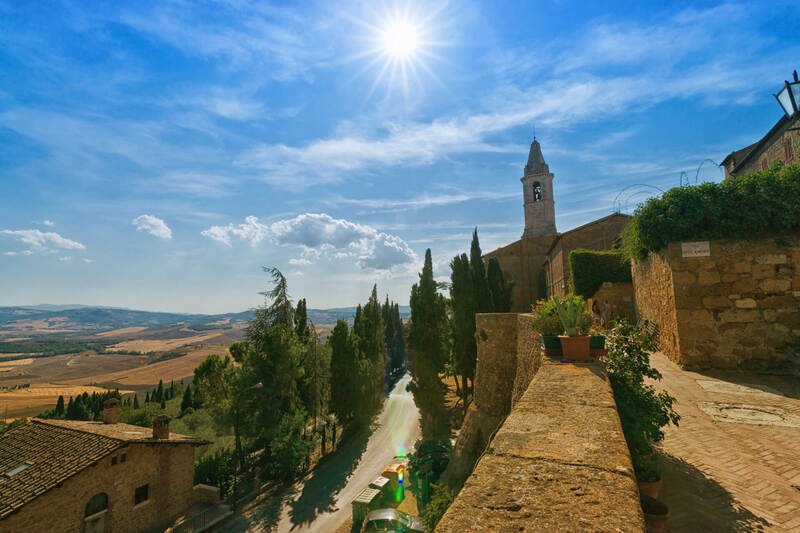 Pienza is known as the “Ideal Renaissance Town”. It was transformed from sleepy medieval hill-town into the jewel that is now by Pope Pius II. The scenario of the main piazza is breath-taking as the Cathedral seems to slip off the hillside. This area is known worldwide for the most exquisite production of Pecorino (sheep cheese). While walking along the narrow renaissance streets of Pienza you will be submerged by the scents coming from the little shops selling this local treasure. Cheese vendors will be glad to offer you a sampling of the massive variety of Pecorino: be it aged in ashes, underground, in bay leaves, with truffle, with spices, etc. The city today has been marked by the UNESCO as one of the world heritage site.